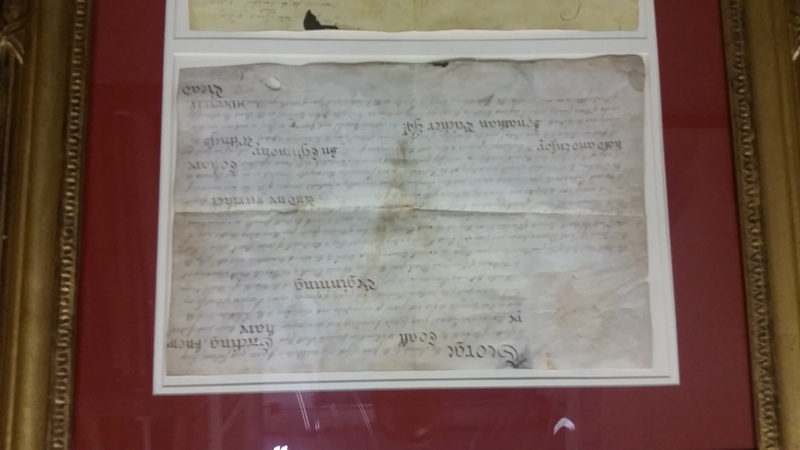 Historic documents often meet their tragic ending with swiftness and tragedy. 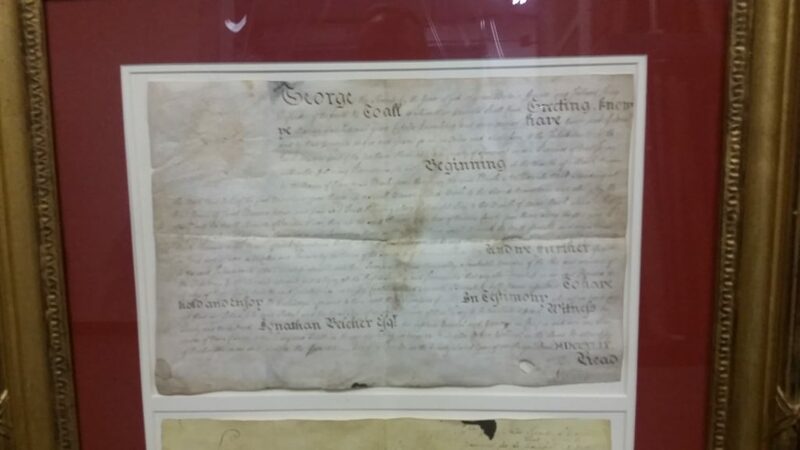 In 1850 in Bernards Township there was known to have been a massive fire at the home of the township administrator, burning all of the townships documents, including it’s founding Charter. 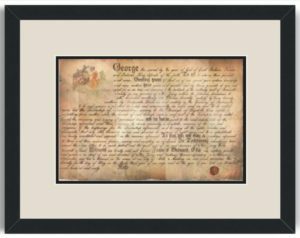 Now, with a bit a research and some digital technology, a local resident has recreated a rendering of the Charter of Bernardston. 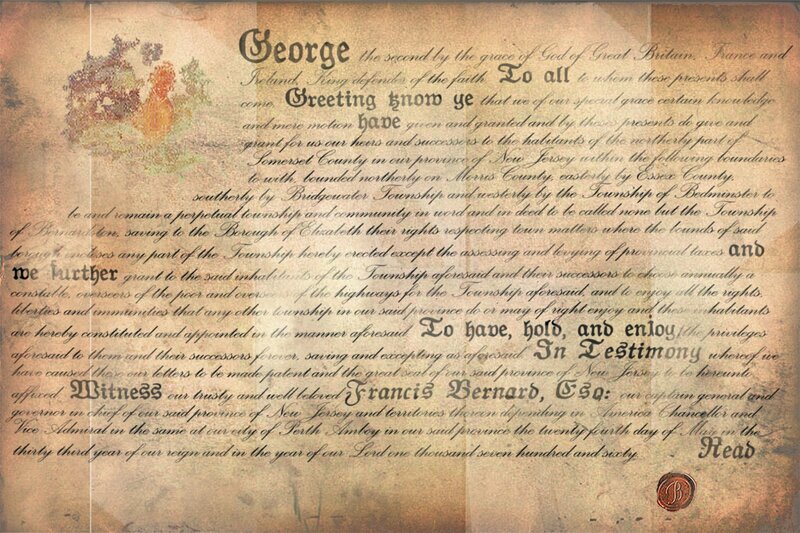 On May 24, 1760 the Governor of New Jersey, Sir Francis Bernard was awarded it’s official declaration as a township from England’s King George II. 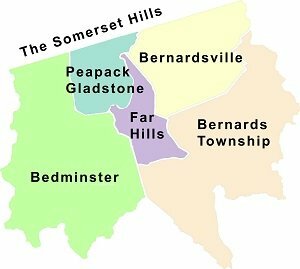 The name of the town while originally was Bernardston in honor of the Governor, it later became Bernards Township, joining it’s neighbors Bedminster and Bridgewater as officially chartered townships recognized by the thrown. 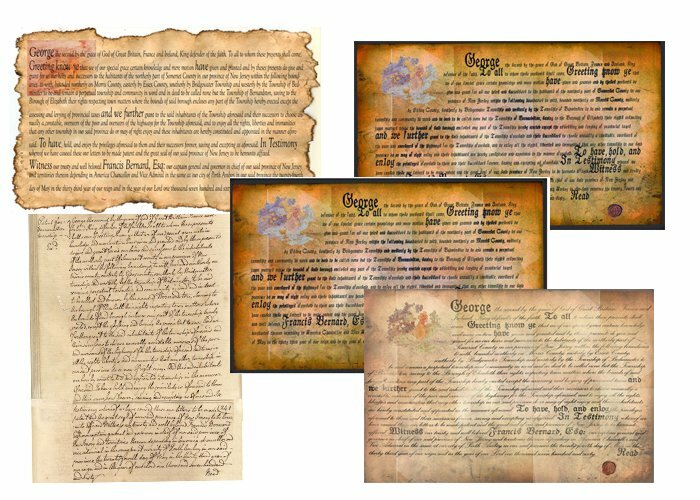 Some of the earlier draft renditions of the Bernardston Charter prior to seeing the original Bedminster Charter. 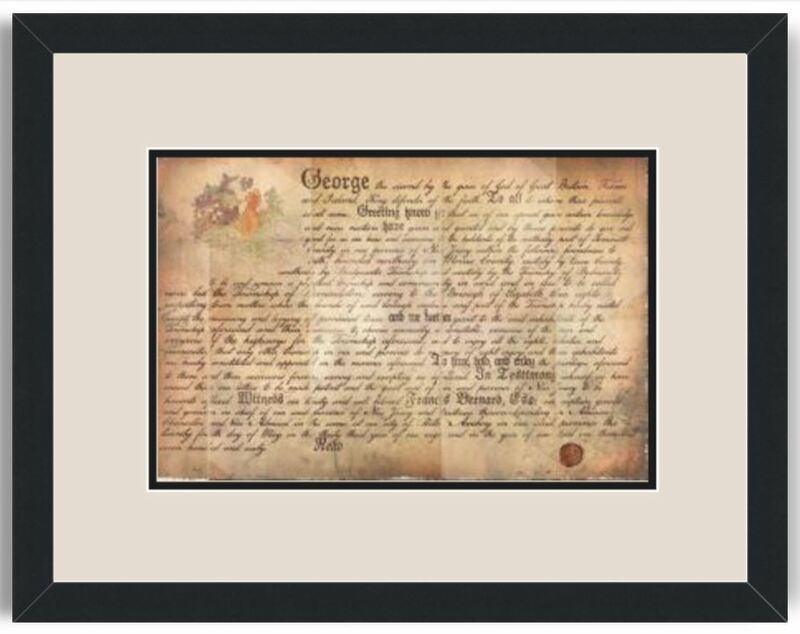 The Historical Society of the Somerset Hills (THSSH), housed in the Brick Academy in the Basking Ridge section of Bernards Township, will be honoring the rendition of the Charter of Bernardston by presenting a framed copy of the Charter print to Bernards Township . 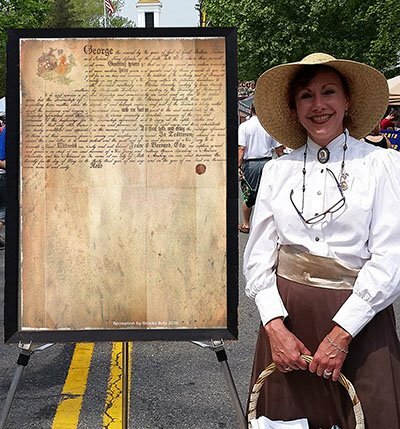 In addition, a new interactive exhibit is being created where people will have the opportunity to sign a copy of an enlarged charter during the 2017 Charter Day Streetfair & Festival . 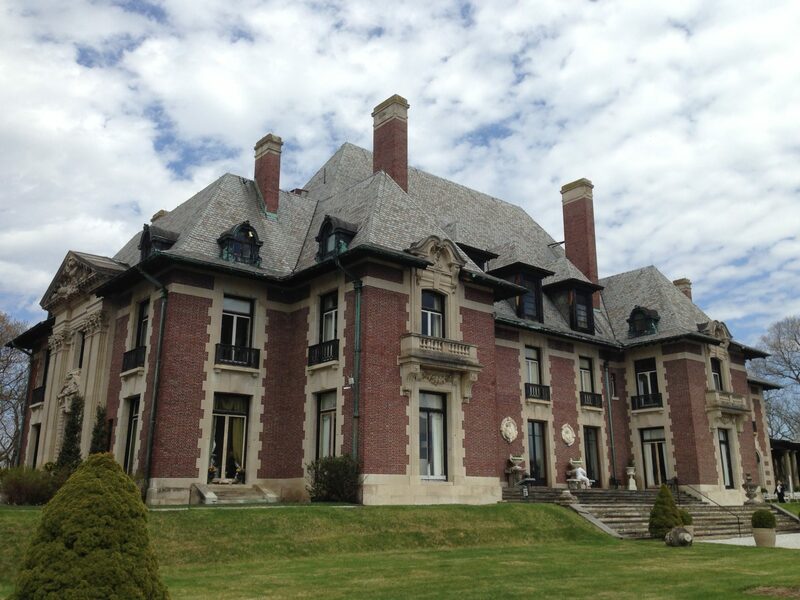 The Historical Society will also be making available a limited number of recreation Charter postcards during the Charter Day celebration, taking place Saturday, May 20, 2017. Stop by the Brick Academy and get one.